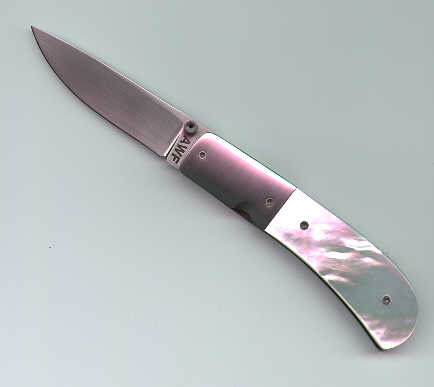 ATS-34 handrubbed blade; 416 stainless bolsters; 416 stainless spacer. Anodized gold titanium liners Presentation grade pearl. Overall length 6 1/2"